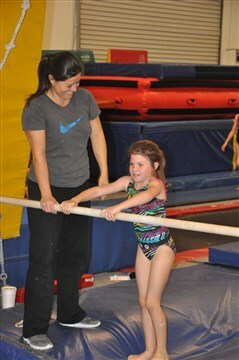 Imelda coaches our Aftershock Gymnastics Team athletes, where she has produced numerous state champions. If you're lucky enough to get into one of her gymnastics classes (they fill up fast), your child will have top-notch instruction with a caring, compassionate touch. She is a great example to our future "PowerKids", teaching them all about what it takes to have the character of an athlete while keeping it fast-paced and engaging! Imelda and her husband have two beautiful daughters, Kayla and Jasyln.